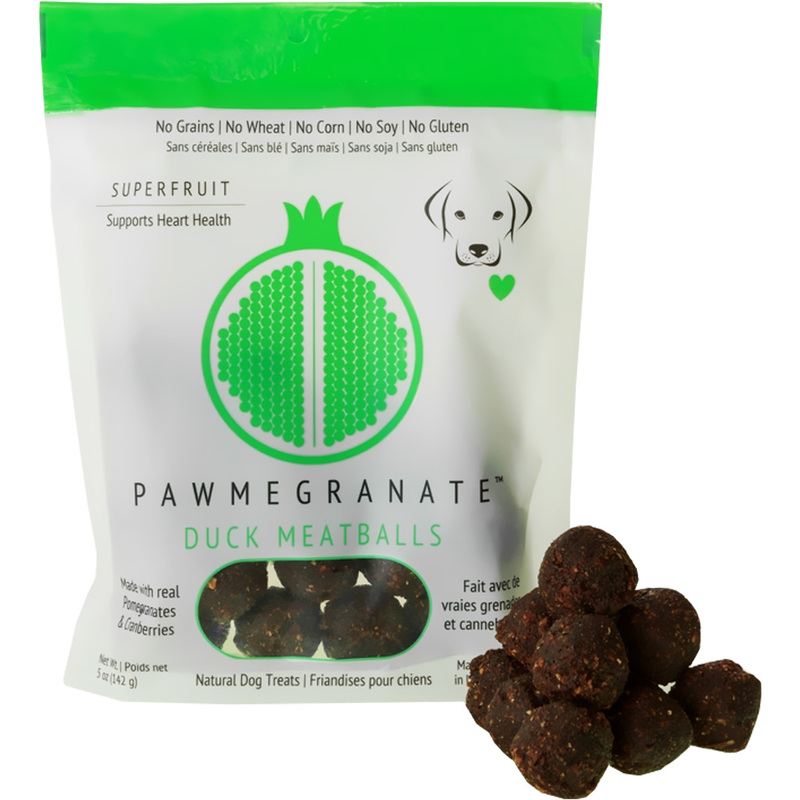 Pawmegranate dog treats are all natural and Made in the U.S.A.. These antioxidant-rich treats are made with real proteins, pomegranates, cranberries, and blueberries. Pawmegranate dog treats are free of grains, gluten, wheat, corn, and soy. Duck, Turkey, Chickpea Flour, Cane Molasses, Vegetable Glycerin, Honey, Dried Pomegranate, Cranberries, Blueberries, Natural Flavor, Dried Cultured Skim Milk, Sweet Potato, Salt, Citric Acid, Rosemary Extract, Mixed Tocopherol (Vitamin E).